HSC has 146 swinging moorings for cruisers on Southampton Water opposite and downstream from the club house. The outer two rows are suitable for yachts up to 12 meters in length. A tender is required to reach your boat. 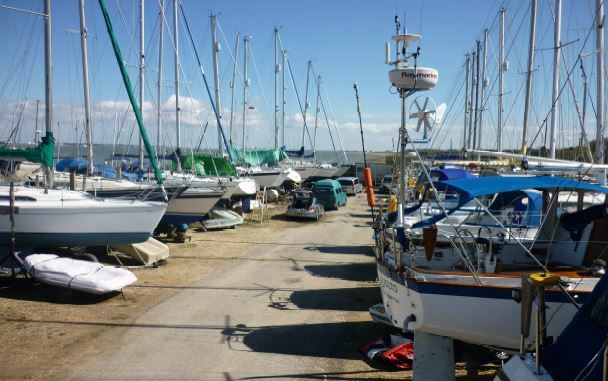 Boats on the outermost moorings are allocated to fin keel yachts up to 2 meters draft and generally do not touch bottom except at a very low spring tide. The inner moorings are generally allocated to twin keel, shoal draft and lifting keel yachts and motorboats. The very innermost moorings dry at low tide; however the sea bed is very soft mud throughout the moorings. Moorings are allocated in accordance with the mooring by-laws by the Hon. Mooring Secretary. Please refer to Application forms on the menu for a mooring/pound request form. Our mooring contractor is a club member and since taking on the mooring contract has serviced all the moorings which are maintained in accordance with a strict schedule. Our moorings are probably the best maintained in the area and are serviced over the winter months when boats are ashore. Our mooring contractor is assisted by our mooring master. If you have a problem with your mooring he is the man to speak to and he will pass on details of the problem to the relevant person. The pontoons are also bought ashore for over winter maintenance usually in early November and a crane is hired and used to do this and to re-launch them again in late March. Volunteers are always welcomed to help with the over winter maintenance of the pontoons. The crane can also be booked when on site by members wishing to remove their masts and to re-step them again in the spring. The boat pound winter lay up area has space for all boats on club moorings up to a maximum of 1.6 meters (5’3″) draft, and are allocated by the pound master. There is also space for up to 60 sailing dinghies / catamarans. 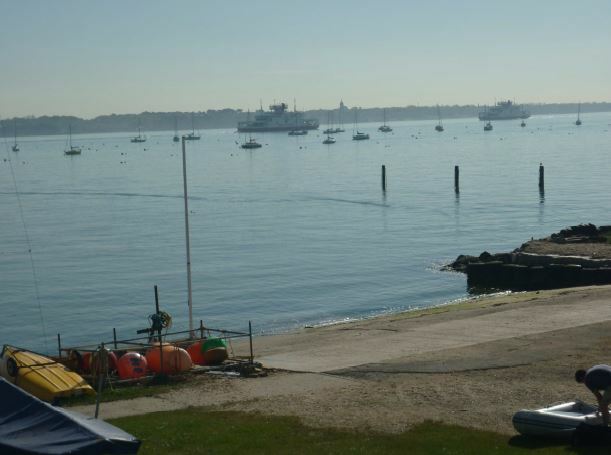 Tenders are normally kept in the pound space allocated to the member although there are a small number of spaces available on the sea wall at an additional cost during the sailing season. There is vehicular access to all boats in the pound and water and mains electricity is available at regular intervals. Our Bosun is responsible for ensuring that our tractors and equipment used for recovery and launching of boats is kept in prime condition. The larger boats in the pound will require a suitable wheeled trailer to enable launch and recovery. Smaller boats will require either a wheeled trailer or a suitable cradle which can be mounted on one of the club trailers for launch & recovery. Road trailers are not suitable. Members are able to launch and recover their boats throughout the year and our pound is laid out in a manner that allows this without the need to move other boats. If you wish to keep your vessel afloat between October 31st and March 31st you should insure that your insurance covers this and you must be prepared to move your boat for servicing of the moorings. There is no additional charge for launch or recovery if using your own trailer. A small charge is levied to using the club trailor. Launch and recovery is undertaken using authorised tractor drivers. It is expected that when several boats are launched or recovered on the same day that assistance is given to all by everyone involved. A launch & recovery booking diary is kept in the club house wet room. Launch and recovery procedure documents can be found in the front of the booking diary, and under the members only section of the website under mooring documents together with an online copy of a launching guideline video. Although no charge is made for launching or recovery the tractor drivers do appreciate a small token of your thanks as they give up their own time and travel at their own expense to do this for you. It is recommended that you view a launching and/or recovery before embarking on it the first time yourself. Only authorized methods of launching and recovery are permitted. The use by members using their own vehicles to launch or recover boats is not permitted. Please refer to the mooring and pound by-laws for the rules governing use of the pound, equipment and moorings. It is critical that the pound is used safely. There are obvious dangers during periods of boat movements.